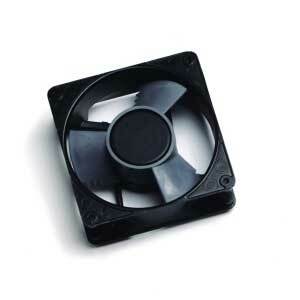 To keep machinery from overheating, all you need to do is set-up a fan to cool things down. 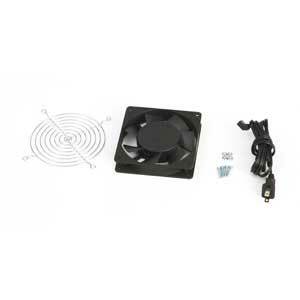 The Kendall Howard Fan and High Speed Fan Assembly Kit makes it easy to assemble a fan and improve the airflow of wallmount cabinets and similar enclosures. 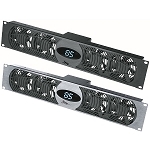 Air circulation helps maintain the temperature of enclosed rackmount components and keeps their running efficiency up. 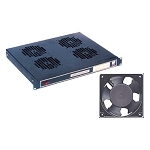 The Kendall Howard Fan Assembly Kits comes with everything needed to install a 4" ultra quiet fan into server enclosures and cabinets. Click the " Specifications" tab for product dimensions.